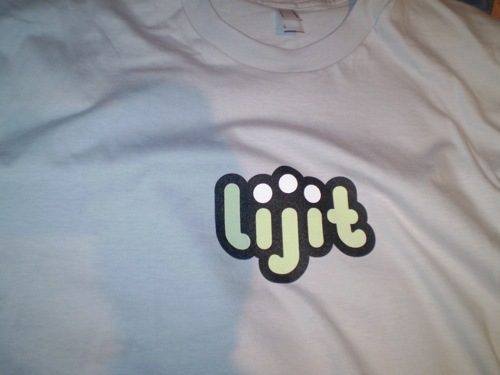 Lijit – When readers search for information in real life, their first step is to typically seek out a friend for the answer. If their friend doesn’t have the answer they need, someone in that friend’s social network may. Eventually, they get an answer they trust, because it came from a source they trust. Your readers can now have that same experience on the web and it all starts with the source they trust. That source: the blog publisher. Amazee – Have you ever had a goal which required the attention and engagement of more people than just yourself? Amazee is a social collaboration platform that gives you the tools to connect with like-minded people to run and promote projects. Whatever your goal is, pursue it on Amazee! BookGlutton is a new way to read and discuss books with your friends. Read something from Book Glutton’s online catalog and you can chat with others right inside the book, on a chapter-by-chapter basis. You can also leave comments attached to any paragraph or be bold and upload your own writing. Pixish is a place where people who want images and people who make images can easily find each other and collaborate on creative projects together. ReturnMoi is a global proactive recovery service that helps return lost and stolen items to their rightful owners. Security tags help protect Cell phone, ipods, laptops, keys, luggage and even cats and dogs. Finders are motivated to return items because ReturnMoi’s return system is simple, convenient, confidential and rewarding. SocialBomb – Created by three guys at NYU’s Interactive Telecommunication Program, Socialbomb is a real-world networking game where players are awarded points for social interaction and lose points for being aloof or talking to someone with a lower score. Mingle well to make sure you don’t have the lowest score, because nobody wants to be around the social bomb! Shoutlet is a complete Web 2.0 marketing tool that allows users to launch campaigns using RSS, text messaging, video, email, podcasts, and widgets. This web-based application combines multiple Web 2.0 formats to give marketers a simple, effective way to reach their target audiences using social media. Zambino is the first video advertising network geared toward connecting advertisers directly with content producers. Zambino helps companies smartly integrate into social media, in a way that the community will accept and respond to in a positive way.